We are making progress toward completing the boys dormitory as we have collected nearly half of the money needed to complete it. You can see the progress we are making already! This dormitory space keeps the boys from sleeping on classroom floors. As you may remember, we completed the girls dormitory in November. Donations are acknowledged by both Comboni Missionaries and Father Simon Peter. 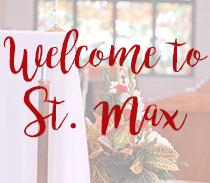 Welcome to the new St. Max Twinning Ministry. 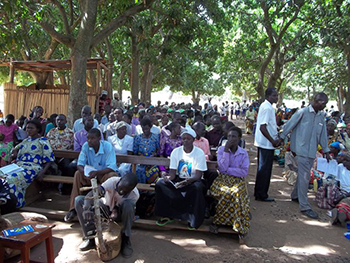 It is a ministry in which our parish joins with the parish of St. Patrick’s Madera, Soroti, Uganda in this active and on-going faith commitment. 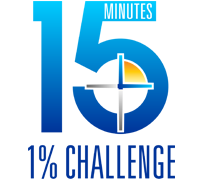 The purpose of this ministry is to bind our parishes together spiritually, culturally and in a mutual sharing of available resources, in Jesus’ name. It involves each of us crossing over into the other cultural, economic, political, linguistic and religious environments. Each of us are universal church members of God’s family. We will grow and share our faith journeys together with Our Lord by learning from each others spiritualties, service and worship styles and economic and cultural differences. We will develop unity and solidarity with the people of St. Patrick’s Madera, Soroti, Uganda parish. 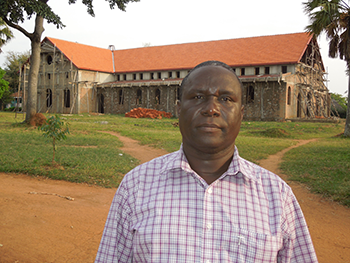 St. Patrick’s parish Madera lies in the mid-eastern parts of Uganda in an area governed by Soroti Catholic Diocese. 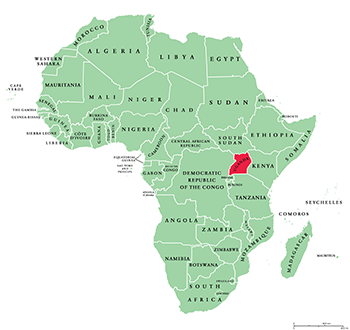 There are three main tribes here, the Iteso who are the majority, the Kumam and a small Bantu group called the Bakenyi. The parish was established in 1914, about the time Christianity was introduced to this area. St. Patrick’s parish has 72 outstations spread out in the villages where most people live. Fr. Simon Peter has been the pastor of St. Patrick’s Madera parish which has 30,000 parishioners. Of which, 80% live in poverty lacking the basic needs of life: food, shelter, water, education and health care. They get their food mainly from what they cultivate in their gardens. They dig the soil using hand hoes. Most get their water from streams, swamps or boreholes which in most cases are distant from their homes. The Catholic faith is deeply rooted among the people with about 50% being Catholic and gives them much joy. The rest of the population is shared by the Protestants, Pentecostals and Muslims. Due to the difficulty in transportation, most of the people who live in the outstation are able to attend Mass only when a priest is able to get there, about twice a year. When Mass is celebrated at these outposts, it is a big celebration lasting a few hours. There is a daily Mass and two Masses every Sunday at St. Patrick’s Church. The parish oversees 19 Catholic primary schools, 2 secondary schools – one of which is Holy Angels, 2 technical institutions, and a primary and secondary school for blind children. Children often walk long distances to get to secondary schools and stay for an extended period of time. They sleep on the school floor. Last year St. Maximilian Kolbe parishioners helped to put up a dormitory for girls, which sleeps 100, at the Holy Angels secondary school. This year plans are underway to put up a boy’s dormitory. Through the process of parish twinning, a parish seeks to integrate global concerns into their parish life by developing a faith‐filled relationship with another parish within or outside of the U.S. In many circumstances, a twinning partnership involves a parish in the U.S. twinning with a community organization (e.g., an orphanage), rather than with a church parish. The form that a particular twinning relationship takes depends entirely on the two parishes involved, the creativity and gifts of the members of the two parishes. Establishing the relationship is an evolutionary process involving pastor and parishioners of both parishes. It requires work, dedication and understanding from both parishes – the reward for these efforts is great.The desired twinning relationship is one where, like the Christian community described by St. Paul in 1 Corinthians 12, there is a mutual sharing of gifts within the Body of Christ. We seek to recognize, embrace and nurture a relationship with our twinning partner as a relationship between equals. The mutuality of our twinning relationship requires humbleness. It requires an openness to recognize and accept the gifts that our twinning community has to give to our parish. 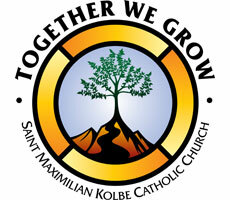 Subscribe for email updates on the new twinning ministry and Fr. Simon Peter's parish St. Patrick's Madera.